Kabul: For the first time in the past six years, the number of civilian casualties in armed conflict in Afghanistan's decreased, says the United Nations Assistance Mission in Afghanistan (UNAMA). The UN report titled – Protection of Civilians in Armed Conflict – released on Tuesday, said that as compared to 2011, about 12 per cent decrease in the overall civilian casualties in 2012 registered. 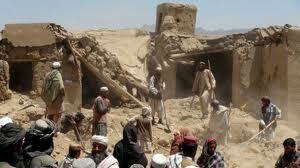 UNAMA recorded 7,559 civilian casualties - 2,754 civilian deaths and 4,805 civilian injuries - in 2012. This is in contrast to the total number of casualties documented in 2011, which was 7,837 (3,131 deaths and 4,706 injuries). Anti-government armed opponents increasingly targeted civilians throughout the country and carried out attacks without regard for human life. According to the UNAMA report, in total, 81 percent of civilian casualties in 2012 were attributed to anti-government elements, eight percent to pro-government forces and 11 percent could not be attributed to any party to the conflict. The report further said that the Improvised Explosive Devices (IEDs) were the greatest threat to civilians in 2012, causing 2,531 civilian casualties with 868 civilians killed and 1,663 injured in 782 separate incidents. 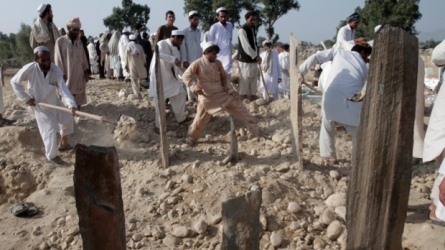 Over the past six years, 14,728 Afghan civilians have been killed in the conflict. At the same time, UNAMA observed increasing threats to civilians in 2012 associated with the presence and re-emergence of armed groups, particularly in the north and northeast regions of Afghanistan. Civilians also faced an increase in threats, intimidation and interference with their rights to education, health, justice and freedom of movement from anti-government elements. 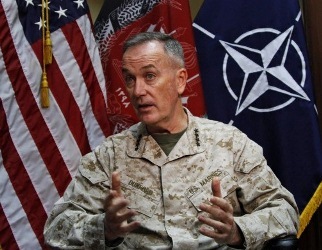 Jan Kubis, the UN Special Envoy in Afghanistan, welcomed the decrease in civilian casualties. He termed as "particularly appalling" the use of suicide attacks including those carried out by brainwashed children to murder civilians, which he said was "a clear breach of the norms of Islam." The report, prepared in coordination with the United Nations Office of the High Commissioner for Human Rights, found that women and girls continued to suffer enormously from the effects of armed conflict. UNAMA documented 864 female casualties (301 deaths and 563 injuries) in 2012. "The number of Afghan women and girls killed and injured in the conflict increased by 20 percent in 2012," said Georgette Gagnon, Director of Human Rights for UNAMA. "It is the tragic reality that most Afghan women and girls were killed or injured while engaging in their everyday activities." UNAMA noted that despite numerous Taliban statements in 2012 to protect civilians, the terror group increased their direct attacks on civilians through targeted killings and continued to indiscriminately use IEDs including illegal pressure-plate victim-activated IEDs. The report notes significant decrease in civilian casualties from aerial operations by international military forces, by 42 percent causing 204 civilian casualties (126 deaths and 78 injuries) compared to 2011.